CTC, with other partners, has commenced a new food waste project commissioned by The Department of Agriculture, Food and the Marine. This project, along with one other, has received funding from the Department’s Rural Innovation and Development Fund, for initiatives aimed at reducing food waste generated by food businesses, retailer/wholesalers, or suppliers in rural areas. Making the announcement of the successful projects with associated funding of almost €190,000, Minister Creed said “I believe that these two initiatives – one from Food Cloud Hubs, an Origin Green partner; and the other from the Clean Technology Centre in the Cork Institute of Technology – will make a valuable contribution to reducing food waste, with significant environmental and social benefits”. CTC will be partnered by the Local Enterprise Office (LEO) of Cork County Council, Taste Cork (an initiative of Cork County LEO) and South and East Cork Development (SECAD) in the Midleton Rural Economic Development Zone (REDZ) and will recruit businesses involved in the food processing, retail, accommodation and food service sectors. The participant companies will be organised in geographical clusters for networking and training. 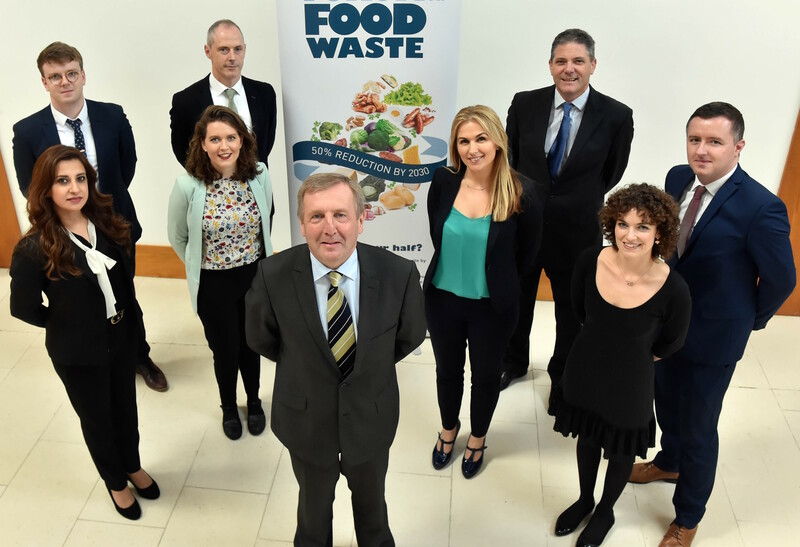 Businesses will be trained in identifying food waste prevention/reduction opportunities, will sign Ireland’s Food Waste Charter, and will be provided with on-site assistance in identifying and implementing food waste prevention opportunities. The model will focus on promoting local collaboration as well as developing local food waste prevention capacity. The success of the initiative will be measured in improved benchmark values (e.g. kg of food waste per employee) and quantified associated cost savings (€). In addition, through the EPA’s Stop Food Waste programme, support for community based food waste reduction initiatives will be promoted to the participating companies. Though not directly funded by this project, this will be an important parallel initiative to provide support to local households interested in preventing food waste. For further information about his project, contact James Hogan, Clean Technology Centre.